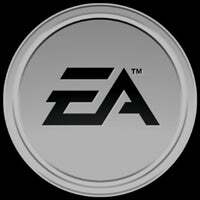 Today we hear word that more of the 1,000 cuts announced back in December at Electronic Arts are about to hit. The latest rumor is that Blackbox, the folks behind the Need for Speed franchise and others, are next on the chopping block, with the layoff axe cutting into the studio as early as this week. From all that we've gathered and seen over the past month or so, it looks like the cuts announced back in December are a trimming of most departments and studios, rather than deep cuts in any one place. The publisher still plans to close nine studios, but the rest of those cuts will be across the board, we're told. The rumored Blackbox cuts, for instance, are part of the studio consolidation happening in Burnaby, at EA Canada. We've emailed a few folks at EA for comment, but with the person who usually comments on these stories herself laid off, there's no telling when or if we will hear back. As the year progresses so do Electronic Arts&apos; planned and massive cuts.